The Social Host Ordinance, which came into effect December 2010 and holds tenants accountable to underage drinking in their residence, is entering its toughest period as students return from summer break or arrive at University of California Santa Barbara for the first time. The ordinance was voted into effect by the Board of Supervisors with a 4 to 1 vote last year and implements new civil penalties for party hosts found serving alcohol to anyone under 21. The fines range from $500 to $2,000 with the first offense including a mandatory education class. The ordinance passed despite the protest of the Isla Vista and UCSB community and has led to an assumption among many students that community groups were dismissive of student concerns. 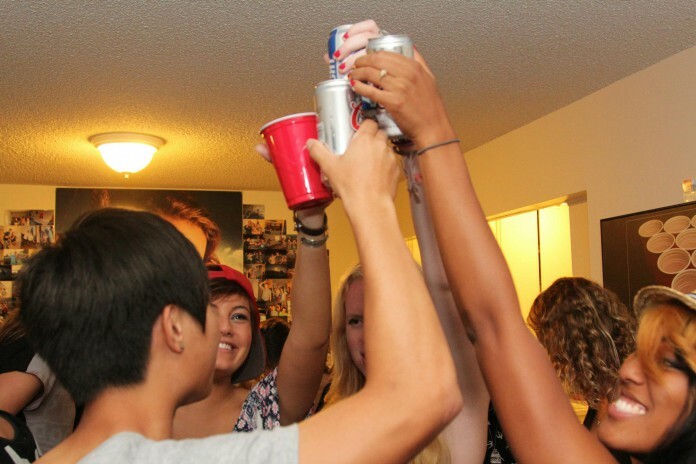 Similar ordinances, such as the one passed in Ventura County are usually directed towards curbing the drinking habits of high school students, not college students. Many people in the IV community have already expressed concern over the ordinance. Life of the Party, a site directed at UCSB students with a page devoted to the Social Host Ordinance, states that to avoid breaking the law hosts should “check IDs at the door,” a task difficult to perform at IV parties. Christina Nguyen, a third-year English major and Isla Vista resident, doesn’t agree with this idea. To address the issue of underage drinkers discreetly entering a party, the ordinance allows for individuals to call the police to remove them without citing the hosts. Roommates who do not engage in the party and are unaware that underage drinking is occurring cannot be cited and to cite someone, the police must establish that the person knew or should have known that underage drinking was occurring. Doreen Farr, a member of the Santa Barbara County Board of Supervisors and the only member to vote against the Social Host Ordinance, holds office hours the second Tuesday of every month from 1 p.m. to 3 p.m. outside of Coffee Collaborative as a way for people to discuss community issues. She has noticed that the ordinance has recently become a repeated topic in her discussions. “People are afraid they’ll be in charge of underage roommates that they have no control over,” Farr said. Farr explains that very few citations have been given, suggesting unfamiliarity among officers concerning the ordinance and its details. The ordinance leaves in place the rule that the foot patrol must detect loud noises, fighting, screaming or other indications of an out of control party before entering a home. It is only after entering that the foot patrol can begin to inquire about the age of those present and issue a citation to the hosts and tenants. The ordinance still continues to worry UCSB students even with the few number of citations given. Doreen Farr assures students that the ordinance is not designed to create a tense rift between the residents and the police.